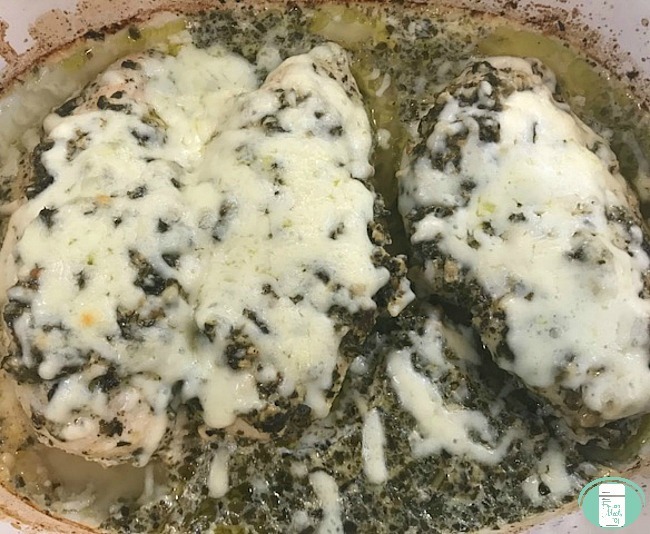 It just does not get any easier than this 4 ingredient Lemon Pesto Chicken recipe! Not only is it fast and easy to make, it’s a freezer meal, saving you even more time. 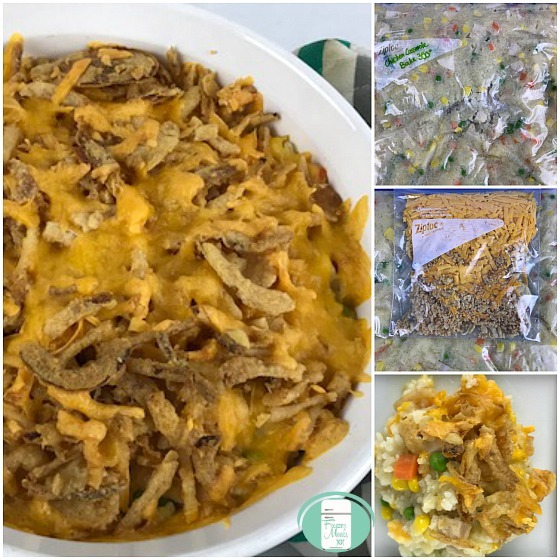 This freezer meal recipe is gluten free. 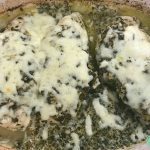 It’s a very easy meal to put together, but it is a bit different than chicken recipes with just a marinade. The pictures are awful. I make this often, but I always forget to take a picture of it once it’s on the plate with sides. All I have are pictures of it in the freezer bag and in the casserole dish fresh out of the oven. 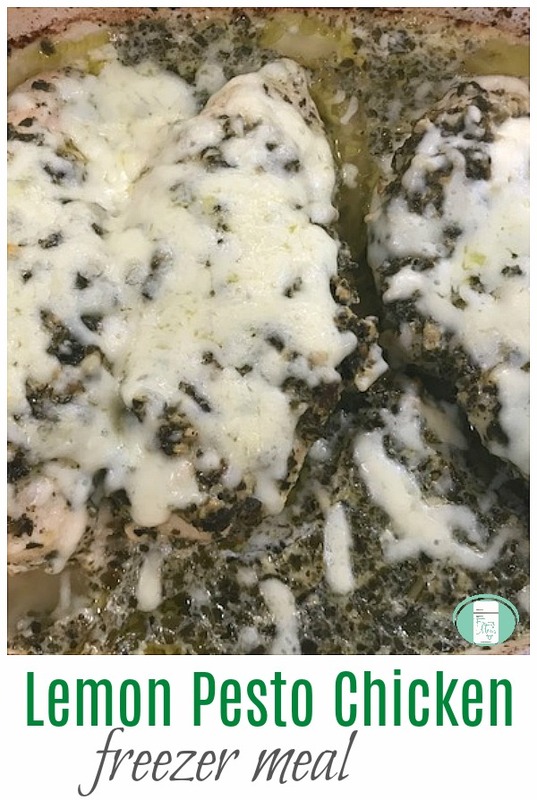 I decided to put this recipe up here anyway so that others could benefit from the recipe even though the pictures are so ugly. You’ll just have to take my word that it looks better on a plate! Put the shredded mozza cheese in a medium resealable bag and seal. Place the chicken breasts in a large sized resealable bag. Add the pesto, lemon juice, salt, and pepper. If you want some extra zip, toss in some lemon rind. Remove the excess air from the bag and seal. Staple the medium bag to the large one above the seal to ensure there are no leaks. Lay flat in the freezer. On the day of cooking, thaw. Put the chicken in a casserole dish. Bake at 375° for 30 minutes, covered. Uncover and top with the mozzarella cheese and bake for another 5 minutes. Turn the oven to broil and cook for another 3-5 minutes. 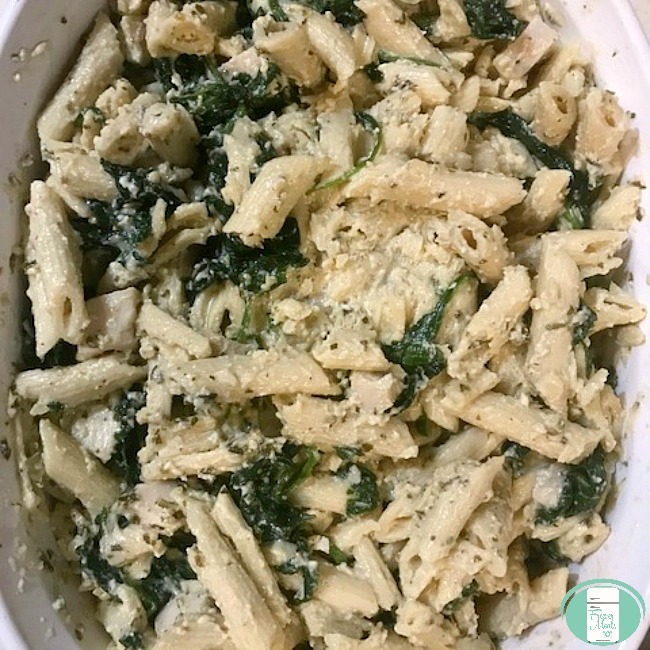 This recipe is included in our Family Favourites Freezer Meal Plan along with other family friendly make ahead recipes, prep and shopping lists, and printable labels. 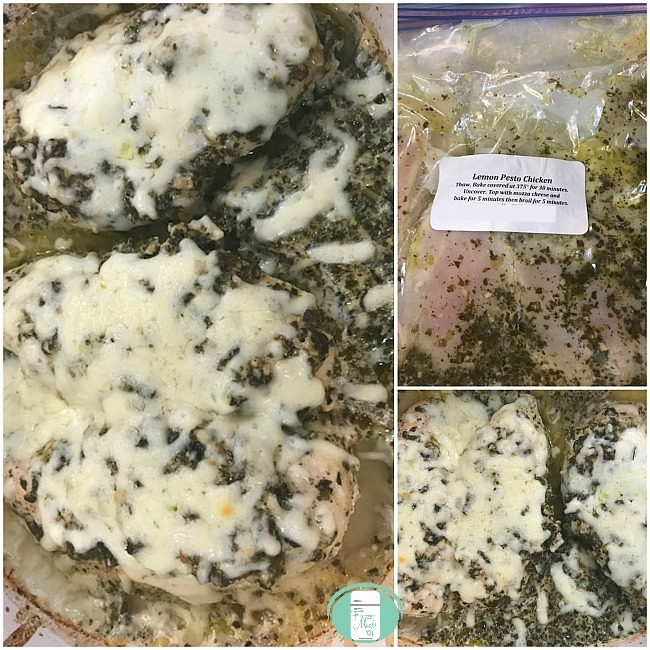 Place the chicken breasts in a large sized resealable bag. Add the pesto, lemon juice, salt, and pepper. If you want some extra zip, toss in some lemon rind. Remove the excess air from the bag and seal. Staple the medium bag to the large one above the seal to ensure there are no leaks. Lay flat in the freezer.